We're busy getting ready for our PARTY on Saturday, hope to see you there! Today I ordered some macaroons in sea salt caramel, vanilla bean, strawberry and passion fruit. I also bought cheeses, beer, wine and decorations. Now I just need to make the mini cheesecakes and dip the strawberries in white chocolate and we'll be ready to party! 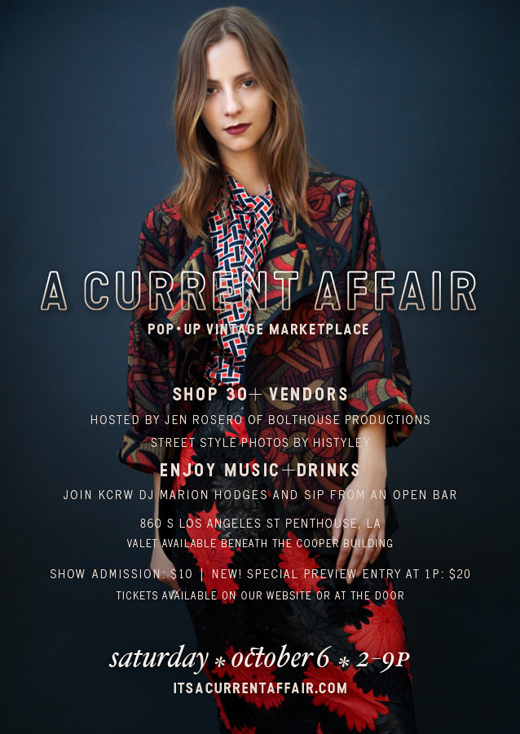 A couple of times a year we have the pleasure of participating in an amazing vintage show in LA called "A Current Affair." This is a place where vintage meets current fashion. The booths will be curated with the most fabulous vintage finds for fall. We've been saving some special pieces, just for this show, so we hope you can make it! 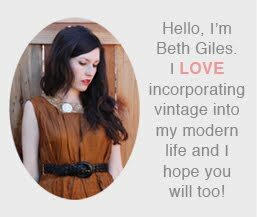 On another note, I was interviewed by the lovely Beth Jones (funny, we're name twins, Jones was my maiden name!) for her blog B. Jones Style, read the interview here. this event sounds amazing! marking it on my calendar and hope I can go!